Try this creamy mushroom recipe, so tasty. Saute garlic and onions till caramelized. Add slices of pork ribs till golden brown. Pour soy sauce over sauteed ribs and enough water to cover the meat. Bring to boil till ribs soften while adding more enough water if needed. 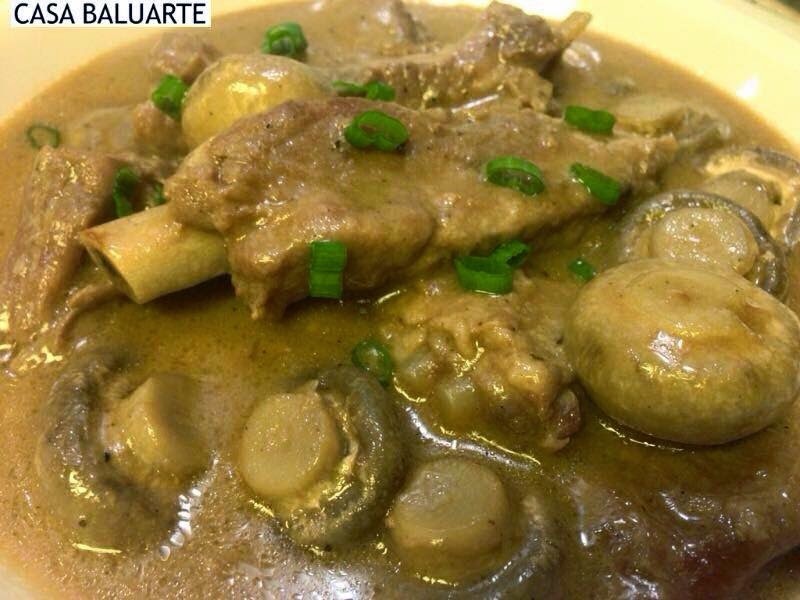 When meat is tender and sauce thickens pour in the cream of mushroom and fresh mushroom.